Anticipation had been building for three weeks over which team would hail supreme and victorious at the Nation’s Football Classic between the Bison of Howard University and the Tigers of Morehouse College. However, it wasn’t necessarily the game that attracted so much attention, but rather the tailgating beforehand. Football fans take the tailgating before a game as seriously as they take the actual game. And in some cases, the tailgating is even more important, especially to college students. But what is it exactly that is so special? Is it the variety of people that attend? Is it the freedom to theoretically have a party in broad daylight in a parking lot? Or could it be the endless amount of food and beverages that are consumed? The answer? All of the above. “The tailgate is the best part of the entire experience,” said Ben Green, a Howard senior who has participated in each tailgate at the Classic, now in its third year at RFK Stadium. “Everyone is so happy and friendly,” Green said. “There is food everywhere, and the music always gets people in the mood to have a good time! The tailgating done for the classic is always better than any other tailgate experience for the remainder of the year … well except for maybe homecoming. To be honest, I don’t even have a ticket to the game. I solely came for the tailgate.” His team won, however, for the third consecutive year without him. 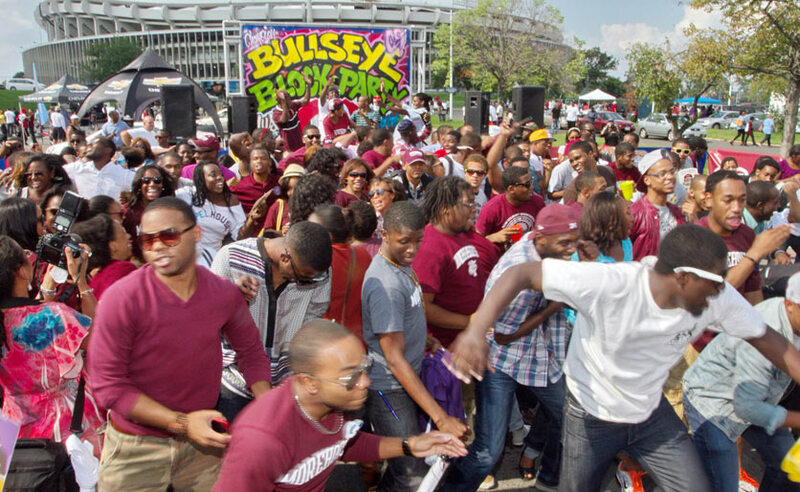 With Morehouse and Howard students together, it was bound to be a good time. From the barrage of people and food, to the blaring music seeming to play everyone’s favorite tunes, it seemed as if a large portion of the crowd preferred to stay out in the parking lot rather than attend the game. It’s a culture and an experience so vital to the overall college experience that many alumni still reminisce on those college days by the grill before a good football game.